You are registering to be added to the headcount for the Brio Tuscan Grill at International Plaza. Please click here to rsvp directly to Tesla. There you will join other Tesla owners for a brief presentation and an exclusive look at Tesla's advanced energy products. Tesla will be serving light refreshments. 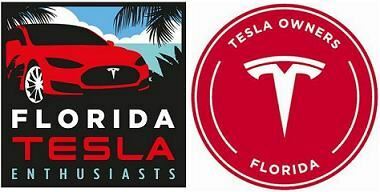 Please note the location for the Weekend Social has been changed by Tesla from the initial location at the Tampa Service Center. Following the Tesla Social, we will be having a club meet-up and lunch at 2:00 pm at the Brio Tuscan Grill restaurant at International Plaza. Due to the short notice we need you to register here promptly to permit us to provide the restaurant with an accurate headcount.